Initially, Prida is a public relations officer and radio broadcaster. Nevertheless, her interest in sharing knowledge, research, and concern for the young generation's development led her to switch professions into a lecturer. 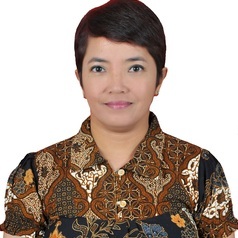 She was once a lecturer at 4 universities, namely Petra Christian University, Pelita Harapan University, Pembangunan Jaya University, and Atma Jaya Catholic University of Indonesia. The effort to build the company's reputation, branding strategy, and new media literacy to increase the participation of young voters, as well as concern for environmental sustainability are the themes that attract Prida to conduct research and community service.